The Great American Bumper Pool Table is built to last and this commercial grade bumper pool table has built in ball return. It is crafted by one piece slate and ready to be played since it comes with all accessories. 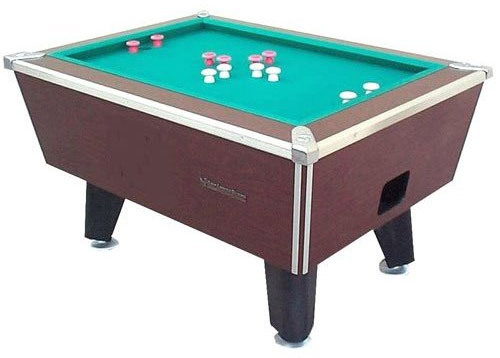 This bumper pool table is perfect for dorm rooms, bars and recreation centers. Dimensions: 41.5"W x 57.5"L x 32H"
Playing Surface: 28.75" x 44.75"